Edward R.S. 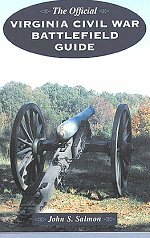 Canby was born at Piatt's Landing Kentucky, on November 9, 1817. He attended local schools before going to Wabash College, Crawfordsville, Indiana. He was then appointed to West Point, from where he was graduated 30th, next to the bottom, of the class of 1839, the same year as Henry Halleck. As a second lieutenant in the 2nd infantry. He saw service against the Seminoles, Creeks, Cherokees, and choctaws. In the Mexican War (1846-48) he served on a brigade staff but still received brevets to captain and major for his actions at Contreras and Churubusco, and a lieutenant-colonel's brevetsfor gallant conduct at the Belen Gate, Mexico City, in 1847. Canby became a major in the 10th Infantry in 1855; he was named colonel of the new 19th Infantry on May 14, 1861, and given command of the Department of New Mexico. Canby's department had little in the way of troops or supplies, being considered a backwater of the war. 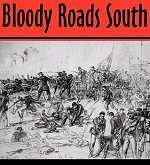 Nonetheless the Confederates invaded his domain, on what they planned to be their way to the silver mines of Colorado and the gold fields of California, in January 1862. His outnumbered troops fell back from Valverde, destroying resources upon whos capture the Confederate plan depended. Finally, reinforced by Colorado volunteers, he met the Confederates at Glorieta (called "the Gettysburg of the West"), and destroyed their supplies. 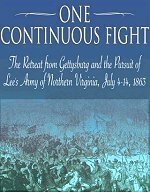 The Confederates were forced to fall all the way back to Texas; Canby followed them, not needing to fight again since nature itself was going against them. 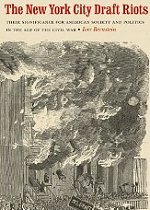 On May 23 1862, he was named brigadier-general of volunteers and sent East to serve latgely in staff functions, although he did take command at New York City during the draft riots of July 1863. He was named major-general of volunteers on May 7 1864, and given command of the Miltary Division of West Mississippi. He reorganized the army which had suffered so much under Banks in the Red River campaign, and began the capture of Mobile, Alabama. Mobile surrendered to his forces on April 12 1865; Canby then accepted the surrender of the forces under General Richard Taylor, one of the last Confederate armies in the field. In 1866 Canby named a regular army brigadier-general. In 1870 he was given command of the Department of Columbia, and three years later the Division of the Pacific. It was on April 11 1873, in the lava beds of northern California, while negotiating with the Modoc Indians for their removal, that he was suddenly shot through the head and stabbed by several of the Native-American negotiators, including their chief "Captain Jack". Canby was killed on the spot; his body was buried in Crown Hill Cemetary, Indianapolis, Indiana. 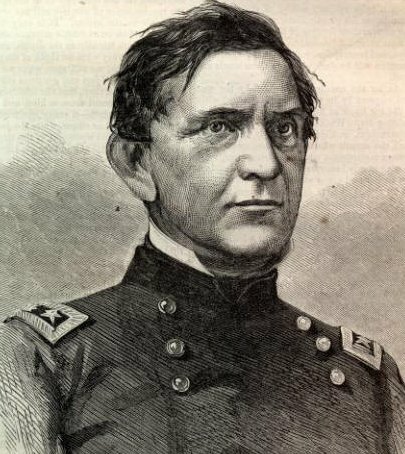 Grant later recalled that "General Canby was an officer of great merit. He was naturally studious, and inclined to the law. There have been in the army but very few, if any, officers whi took as much interest in reading and digesting every act of Congress and every regulation for the government of the army as he. His knowledge gained in this way made him a most valuable staff officer, a capcity in which almost all his army services were rendered up to the time of his being assigned to the Military Division of the Gulf. He was an exceedingly modest officer, though of great talent and learning.... . His character was as pure as his talent and learning were great. His services were valuable during the war, but principally as a bureau officer. I have no idea that it was from choice that his services were rendered in an office, but because of his superior efficiency there"